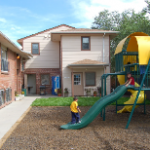 Founded in 1983 by a group of Adams County resident, the mission of ACCESS Housing is to help homeless families regain their independence, achieve self-sufficiency and sustain permanent housing. Our primary goal is to prevent homelessness while ensuring that the homeless families we serve never experience homelessness again in their lifetime. Family and Community – We listen to and learn from the homeless families we serve. Honestly and Integrity – We value honesty, integrity and accountability, and we expect the same from the families we serve. We honor intentions of our donors. We hold ourselves to the highest standards of ethics, service, and fiduciary responsibility. Respect – We treat the families we serve with respect and we demonstrate respect and concern from each other. We provide a comprehensive, coordinated continuum of care that responds to the cultural needs of the families we serve.